Mahan’s book struck the highest levels of the governing classes like a bolt of lightning and created a tempest of intellectual upheaval not just within the U.S. Navy, but throughout the broader American (and overseas) political, economic, and industrial system. It was, however, not Navalism as a theory which contributed to both intellectual and, eventually, social upheaval—it was the industrial revolution and the technological paradigm that revolution created, which propelled ideas of naval blockades and of the decisive battles of large fleets to the forefront of global strategic thought. The confirmation of the correctness of Mahan’s vision didn’t have to wait for too long—on 28 May 1905, in the straits of Tsushima, Russia’s Baltic Sea Squadron of Admiral Zinovyi Rozhesvensky was almost completely obliterated by the Japanese naval force of Admiral Togo in what amounted to one of the most lop-sided battles in history. Russia’s de jure defeat in the Russo-Japanese War of 1904-05 became inevitable in the wake of Tsushima, which became in Russia a euphemism for a catastrophe. Recriminations and, eventually the First Russian Revolution followed as the result of this military-political humiliation. This outcome also cemented a central postulate of Navalism—large, expensive fleets became the main force which embodied both national prestige and safety for the trade of the nation which possessed them. The era of battleships and cruisers unfolded but so did the era of submarines. The explosive technological and doctrinal development of fleets, both naval and commercial, followed. Also Mahan’s ideas that the old concept of Guerre’ de Course, of commerce raiding, simultaneously matured and reached industrial proportions, which would see massive naval battles on the Shipping Lanes of Communications (SLOC) during WW I and, especially so, during WW II. The Safety of SLOCs and maritime Choke Points became defining factors in Western strategic thinking of the 20th Century. Nowhere was this more so than in Great Britain and, especially, in the newly emerging superpower of the United States. The World Island is how Admiral Elmo Zumwalt defined the United States of the 20th Century. The post WW II US Navy became more than just a concentrated material expression of American national pride and of industrial-technological prowess; it became the guarantor of the safety of those numerous SLOCs and Choke Points on which American prosperity depended then and continues to depend even more so today. Enter the 21st Century. With the collapse of the Soviet Union, the US Navy lost its only modern peer—the Soviet Navy. Today, the US Navy reigns supreme over the vast spaces of the World Ocean, thus making American maritime trade secure. For now it also controls the world’s maritime trade which amounts to almost 90 percent of all global trade. A fleet of more than 62 000 commercial vessels every day carries millions tons of cargo, ranging from crude oil and ore to washing machines and cars, between hundreds of ports, thus generating trillions of dollars in capital movement every month. It seems that the United States with her magnificent navy is living proof of the old geopolitical truism that the one who controls the World Ocean controls the world’s trade, and thus controls the World. This was true with the United States being the most productive and largest industrial economy in the post-World War Two world. This is not the case anymore. To be sure, the United States still hugely depends on and still controls most SLOCs, but this time the pattern is different and is changing constantly. China’s ever-growing manufacturing capacity entered the game—the times when the United States was shipping massive amounts of finished goods and of materiel both to Europe and elsewhere around the world are over. Of course, the United States still produces many finished goods, some of them of a world-class quality, such as commercial aircraft, processors, generators, and engines, to name just a few; but in 2017 the United States posted an astonishing 344 billion dollars trade deficit with China. Today, the US controlled SLOCs in the Asia-Pacific area operate as supply lines for the US internal market, shipping monthly tens of billions of dollars’ worth of the finished consumer goods to the United States, filling the shelves of American Walmarts, Targets and Costcos with mostly Chinese-manufactured TVs, home appliances, computers, Smart phones, furniture, and articles of clothing. The United States today depends on China for its own everyday consumer needs. This dependence is unprecedented historically and is a powerful reason for questioning both America’s internal and international trade policies. Today, trade deficits of such a scale are among the most important drivers behind contemporary geopolitical upheaval. Europe does feel a need to protect her strategic sectors and those are the ones where China still lags considerably—the high-tech machine building sectors. 2. With China securing the safety of her strategic rear and crucial resources by entering into all but an full-fledged military-political alliance with Russia, China seems poised to complete the Silk Road’s land-bridge, a small part of which will go through Russia. Modern transportation technologies, including high-speed rail—the exact field in which China is one of the global leaders—may significantly change the matrix of goods’ flow and, indeed, interconnect Eurasia with a highly developed railroad network. In fact, the work is already in progress. But here is the catch. 3. Commercial marine transport still remains the most efficient way of delivering large quantities of goods—a term “Road” stands for SLOCs in a One Belt and Road initiative. China needs this Road which connects her ports with the Mediterranean and it is here where all illusions about this Chinese initiative must be dispelled. There is a lot of talk about the Russia-Chinese alliance, as well as about Russia being a junior partner in such an alliance. All this is a result of not seeing the very serious real factors behind the new Silk Road. First, China’s initiative is not that beneficial to Russia. In fact, it goes contrary to Russia’s own plans for creating a new Eurasian Economic Union (EAEU). Russia has its own designs on large portions of the markets China sees as her own. Russia, dominating Eurasia’s heartland, has a shot at a serious upgrade of its own role in this plan and that is what Russia is doing already. One of the major reasons is the fact that the US Navy and the Chinese Navy (PLAN) are simply in different leagues. One may say, and justly so, a lot of negative things about the US Navy, which does face a whole host of large technological and operational problems, but there can be no denial that it still remains the most powerful naval force in history. It is precisely this force which can, if push comes to shove, stop any maritime trade in almost any part of the world. The “almost” qualifier is extremely important here. One also may say that this is an unrealistic scenario, while in reality it is anything but. The Chinese Navy (PLAN) was in construction overdrive for a decade now and it built a large number of surface combat ships, some of which on paper look impressive. 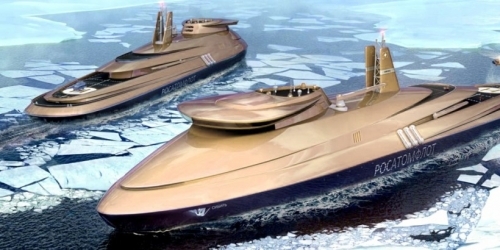 By 2030 it also plans to have four aircraft carriers in its order of battle. China is also building naval bases in Pakistan, which is prudent once one considers that a large portion of this “Road” passing through the Indian Ocean. But the question remains—in the case of an inevitable US-China trade war, which may go hot on “neutral” territory, will the Chinese Navy (PLAN) be able to defend its SLOCs from the interdiction by the US Navy? The answer is an unequivocal no. China may already have a very serious A2/AD (Anti-Access/Area Denial) capability which would deters the US Navy and make its life difficult in the South China Sea, but blue water operations are a completely different game. The US Navy today and in the foreseeable future has an ace up its sleeve, and that is a world-class, massive nuclear attack submarine force which, considering the US Navy’s powerful surface element, will not allow PLAN to defend its SLOCs. While Mahan’s ideas seem to be moribund, they may yet see their resurrection in the form of a large fleet standoff with global implications.Neither now nor in the foreseeable future will China be able to overcome the US Navy’s technological underwater superiority, and eventually the Chinese will also need to contend with India’s view of the Indian Ocean as her own internal lake. India also sees the Chinese naval presence in the Indian Ocean as a threat to herself. It is not surprising therefore to see increased cooperation between the US and Indian Navies. The PLAN is not ready to face such odds, especially when one considers the rather unimpressive technological reality of PLAN’s submarine force—this inferiority in technology and numbers will not be overcome any time soon. 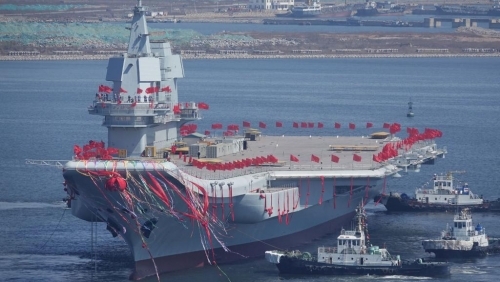 In plain language, in the open ocean the US Navy can and, most likely, will sink the Chinese Navy and that will mean the end of the Road, leaving onl the Belt to China. In the end, the United States also needs Europe in a desperate attempt to revitalize own economy by utilizing the subjugated and split EU as the main market for US hydrocarbons and goods. The US doesn’t need Chinese competition in what has now become a struggle with enormously high stakes for the United States. After all, the memories of America as a global industrial powerhouse are still fresh among many. This, eventually, may move the United States into full confrontational mode with China and it is here where Russia will have her own very appealing strategic fork in the road, with some preparations for this fork now being made. The most important sign of this was Vladimir Putin’s rather startling revelation, during his October 2017 Valdai Forum conversation with youth, of his concern for the fate of white European Christian Civilization and his desire to preserve it. The importance of this statement is difficult to overstate—much more is at stake than mere economic issues, however important. 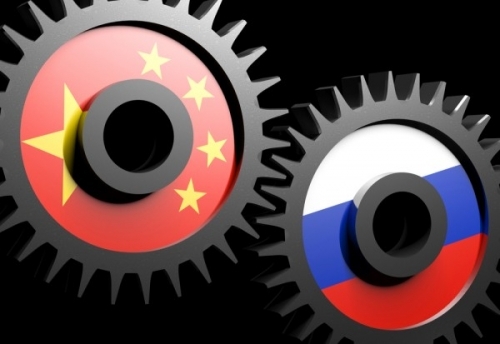 The Russian-Chinese alliance today seems unshakable and it will remain so for a while, but, contrary to some opinions, this is not because Russia needs China—certainly no more than China needs Russia. It is a situational global alliance, but it is also the economically natural alliance of two very close neighbors. China needs Russia’s resources, which Russia gladly sells to China, but China also needs Russia’s technology and she needs it desperately. Europe is also not just a market for China; it provides access to very advanced technologies, from nuclear power to transportation. But Europe and Russia are effectively the same culture, while China and Russia are not. 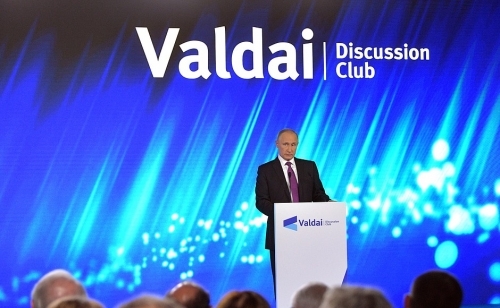 Putin at Valdai confirmed Russia as primarily a European nation and stressed the necessity to preserve it as such while preserving European, which is Western, culture as a whole—this is without doubt a most startling and profound political statement from a major global statesman in the 21st century. Preserving European culture is impossible without extremely advanced technology and advanced military systems, but that is what Russia has been building for the last decade. 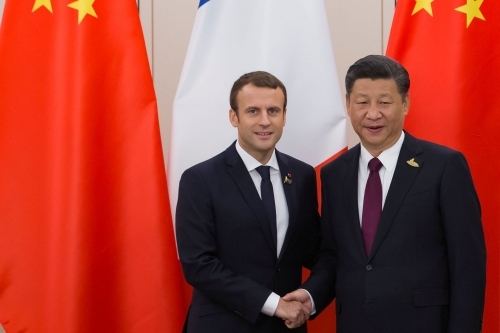 With Europe slowly coming to some understanding of the dead end of its cultural and economic policies, it is becoming clear that Europe sees neither China nor the United States as friends. Yet, even despite sanctions on Russia, the Q3 2017 reports saw a very significant, double digit, growth in trade between Russia and Germany, Netherlands, Italy, and Austria—hardly a sign of an isolated nation. The trade with China also grew tremendously by more than 20% and reached 84 billion dollars, with a target of 200 billion to be reached in the nearest future. There will be no cohesion to any Eurasian economic plans without Russia. The Russians know this, and so do the Chinese and the Americans. More importantly, while it is primarily Russian or Russia-derived military technology which has already firmly secured the Chinese and Russian littorals and their near sea zones from any aggression, Russia holds yet another joker up her sleeve. It is the Northern Sea Route, which China supports enthusiastically. She has sound reasons for doing that. Unlike the Indian Ocean where PLAN would have to face the immensely powerful US Navy, Russia controls the Arctic and possesses a world-class A2/AD capability there, from advanced nuclear submarines, patrol and missile carrying aviation to a system of surveillance and reconnaissance sensors and coastal weapons, which make this route a desirable trade artery, also being much shorter than other maritime routes. The pace of Russian construction of ice-breakers for year-round operation of this ice route, now greatly mitigated by climate change, testifies to the fact that this route is already becoming an important economic and geopolitical factor. In short, as long as solid Russia-China relations exist, the future of the Ice Silk Road is bright. There are no reasons for China or Russia to spoil their relations, especially now when the agreement has been signed and a JV established for developing and building Russian-Chinese long-range wide-body CR 929 aircraft, which gives China access to world-class Russia’s commercial aircraft design and technologies. Russian-Chinese energy and infrastructure projects are also impressive and have huge potential for growth. In general, after all of these factors are considered, one can easily see that no matter how one plays with numbers or geography, Russia long ago secured both continental and maritime pivot positions for any major Eurasian project. She did that by playing to her many strengths. Then, by openly stating her European cultural roots, Russia has asserted her claim to be the very real bridge between Asia and Europe and she has all the necessary economic, technological and military wherewithal to support such a claim. Will Europe get the signal? There are certainly many there who got it already but so did the United States, whose neocon cabal is going apoplectic when facing an unfolding geopolitical reality in which the United States may be simply bypassed as a player in Eurasia or, under highly desirable yet unattainable conditions, see herself reinventing herself as a major global productive player. How to do this? Alfred Thayer Mahan left no instructions and that could be a big problem. But if we all manage to avoid Mahan’s vision of large fleets blowing each-other out of the water with modern conventional let alone nuclear weapons, in their desperate fight to control shipping lanes of communications—this, I think, will fit the common sense of most people in Russia, the US, China and Europe. These four players must sort their problems out in a peaceful and civilized way—there is no other viable option. The only alternative is a bloody destructive triumph of Navalism.